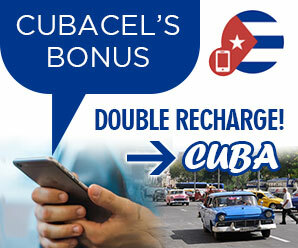 cubacamaguey.com | Want to know before you go? 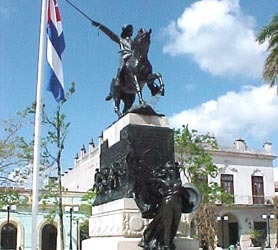 Official Cuba Camaguey information and guide, get facts and latest news. 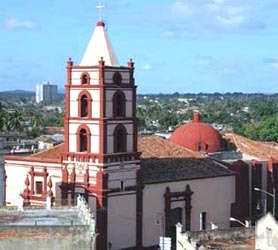 Local legend attributes the origin of the Church of Our Lady of Solitude in Camaguey to the will of the Virgin, specifically in the second half of the seventeenth century. As the fable goes, a small box fell from a horse drawn cart at this exact location in the late 1600s. It was unexpectedly found to be very heavy indeed. Inside the box was an image of the Lady of Solitude, seeing it as a sign from heaven, the locals built a hermitage for it, which was later replaced by this church, completed in 1776. 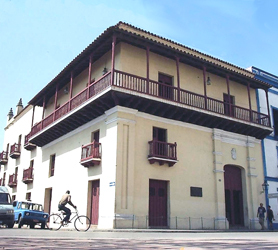 The actual building dates back to 1776 and is one of the exponents of Cuban colonial baroque design. The restored exterior of this 18th-century church dedicated to Our Lady of Solitude leads to its well-conserved interior. Big square columns rise into high arches decorated with pretty floral frescoes, above which is a mudejar designed wooden ceiling with complex carved beams. Just 94 km (58 miles) from the center of Camaguey City you’ll find the impressive All-Inclusive Club Amigo Mayanabo Hotel at Playa Santa Lucia. If we include this hotels prime location the fact that the hotel is just 1km from the world’s second largest barrier reef of Jardines del Rey and Cayo Sabinal’s exclusive virgin sands, you could say that Hotel Mayanabo has it all. As a 3 star all-inclusive, it’s probably the bargain of the century where beach resorts in Cuba are concerned. Rarely at three star hotels can you sample a la carte dining but you can here. For those days when you are looking for a more intimate dining experience than the buffet, you have this separate restaurant included in your rate. Bookings are required though. 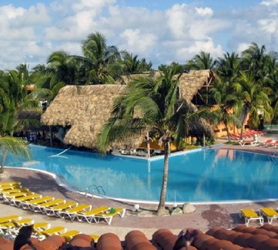 Club Amigo Mayanabo Santa Lucia has 225 rooms split into three buildings, all facing the terrific white beach and blue sea. With 4 bars onsite, you have your choice of drinking holes, the bar on the beach being the favorite at sunset. Our booking process is unique because it shows the best rate from all of these for Club Amigo Mayanabo Santa Lucia hotel in Playa Santa Lucia and the types of rooms available. 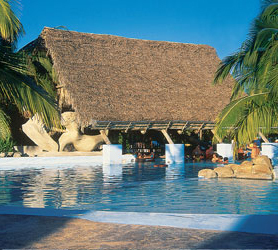 Our Club Amigo Mayanabo Santa Lucia Playa Santa Lucia rate comparison is an industry first for Cuban Hotels. Once you’ve compared the rates, finalizing the booking at Club Amigo Mayanabo Santa Lucia Hotel takes just seconds and an immediate confirmation is provided in real-time. 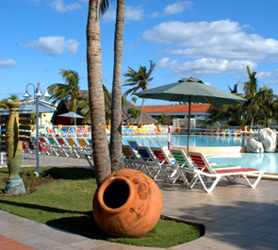 Hotel Gran Club Santa Lucia all-inclusive hotel is located 94 km (58 miles) from the city center in Camaguey. Its cheap 3 star rating being irrelevant, based upon the hotels beachfront location and great food options, including one a-la-carte fish restaurant perched on stilts over the sea. Having been totally rebuilt some years ago, Hotel Gran Club Santa Lucia has managed to keep ahead of the times due to this overall. An additional bonus at this hotel is its ideally located 24 hour beach bar where revelers can congregate at all hours for a few drinks and laugh. The hotel features 252 rooms; divided into 12 luxurious coral suites, 8 superior junior suites and 86 junior suites, the latter option gives you a 5 star size room for the cost of a nice meal at home. The whole resort is a large scale affair, covering vast amounts of land and beach, giving guests a great feeling of privacy wherever they may be on the resort. The same attractions available to higher level hotels are available here. Snorkeling of the Jardines del Rey Barrier Reef or an exclusive sea excursion to Cayo Sabinal will spice up your stay and make your 3 star accommodation feel like a 5 star vacation. Our booking process is unique because it shows the best rate from all of these for Gran Club Santa Lucia hotel in Playa Santa Lucia and the types of rooms available. 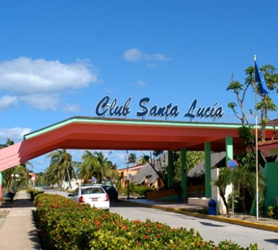 Our Gran Club Santa Lucia Playa Santa Lucia rate comparison is an industry first for Cuban Hotels. Once you’ve compared the rates, finalizing the booking at Gran Club Santa Lucia Hotel takes just seconds and an immediate confirmation is provided in real-time. 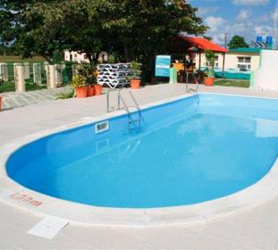 Hotel Cuatro Vientos Santa Lucia is a 4 star all-inclusive resort located 94 km (58 miles) from Camaguey’s City Center at the beach resort of Playa Santa Lucia. This hotel combines its installations with the Brisas Santa Lucia, the Cuatros Vientos name being used in several international markets and Brisas being used in others. However, the prices on our booking system can sometimes be advantageous when booking under the Cuatro Vientos name, when in fact you’ll be staying at the Brisas. We urge you to check each hotel when you click to reserve below to establish, if in fact, you’ll get a better rate with one or the other. There’s no fixed rule we can provide, so checking is the best route. 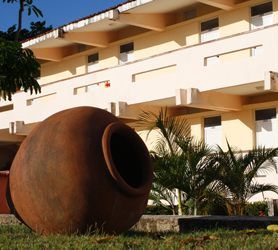 For further details about this hotel please visit Hotel Brisas Santa Lucia. Our booking process is unique because it shows the best rate from all of these for Cuatro Vientos Santa Lucia hotel in Playa Santa Lucia and the types of rooms available. 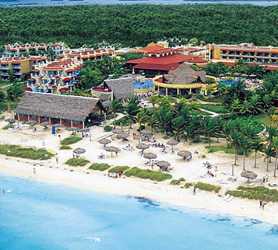 Our Cuatro Vientos Santa Lucia Playa Santa Lucia rate comparison is an industry first for Cuban Hotels. Once you’ve compared the rates, finalizing the booking at Cuatro Vientos Santa Lucia Hotel takes just seconds and an immediate confirmation is provided in real-time.